We are here for you at American Family Fitness! We are proud to provide our personal training, small group training, and nutritional programs to show you that we will be with you every step of the way to help you achieve your goals. At American Family Fitness in Short Pump, we believe that everyone can benefit from personal training -- whether it’s in a one-on-one setting or in a small group. A certified trainer will work with you, starting with finding your baseline fitness level, and help you create your goals. They will teach you about the equipment and different techniques, as well as figure out the intensity of exercise and frequency. With proper training, along with a focus on nutrition, you will quickly reach, and surpass, your goals. It doesn’t matter whether you are a beginner or a high-level athlete, personal training works for everyone! Our gym in Short Pump provides personal trainers to help you along your journey. 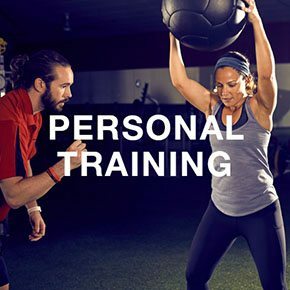 They will help you find your baseline fitness level, create goals, educate you on the equipment and techniques, and determine the proper intensity and frequency of exercise. Come on in and talk to someone today! Are you energized by a group class but feel you would benefit from a one-on-one experience? 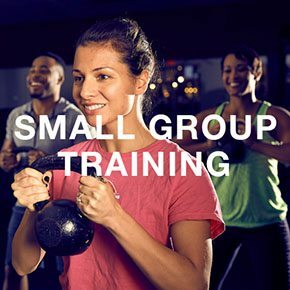 With small group training at the best gym in Short Pump, you can have the best of both worlds! With this program you will be able to enjoy the personalized instruction while also experiencing the energetic aspect of a group. Nutrition and exercise are two sides of the same coin. 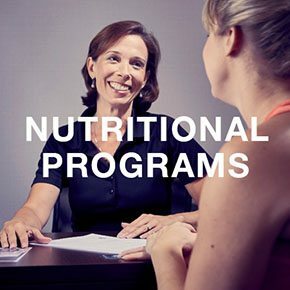 At our Short Pump gym we provide you with registered dietitians to discuss the programs we offer to help you achieve health and wellness. You will be educated on the best food options, types of exercises, as well as the different weight loss programs in place to help you reach your goals. Call today, we are here to help!